MarineLife Mod! :New underwater mobs,new items,new foods,and more! If you'd like to add me as a team member I'd appreciate that! Also, I know some basic code just no mob coding. Sorry. Thats fine!And I'll add you!Also I'm working on a wiki for this mod,I already have the basics for the wiki done,like some pages for it and other stuff as well,I'll probably be adding a link for it later,as well as some other changes to the first post. have you also textured it yet? Not yet,I'll probably be getting to it soon though. do some information about the seagull!!! can this mod be for 1.6.4?im making a HardCraft survival series with thinknoodles,DanTDM and thynxcya.its gonna be very tense!!! Looks good!Also do you mind if I use that picture of the Goblin Shark for the wiki and the first post? Also on the 20th I'll be sending a pm to some people of the list of planned mobs that were confirmed,and on the 30th,I'll be showing the confirmed list of planned mobs to eveyone on the first post,this October of course! I'd be honoured! Also, I'll send you the link to the model download tomorrow (Angler Fish). I just learned about a color-changing mob: Daveyx0 has made a chameleon for his Primitive Mobs mod. Maybe you could learn from him how to make that work for your cuttlefish. Update:Hello everyone!Its been a while since I've updated this thread,I was taking a little break and sadly I never got around to saying what planned mobs were confirmed to be in the mod on the 20th-30th,but I decided to say right now though while I can. Also I'm thinking of remaking the Cuttle Fish and the Sea Turtle,what do you guys think? 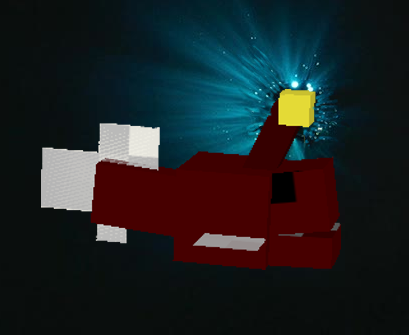 If you decide to re-model the Cuttle Fish and the Sea Turtle, could I give them a try? Hey! i used to scoff at projects like this, but after seeing jurassicraft grow, i know this can be done what heped them was being different, so i think whale might make this mod truly special! Posting to follow. Seems very good!